Altman Insurance Services is a preferred broker with all the major health carriers in Kentucky and can provide innovative solutions to your health employee benefit plan and insurance needs. KHA Solutions Group endorses Anthem as its preferred health care vendor. Anthem has a reduced administrative fee schedule for hospitals in the KHA Solutions Group program. Voluntary Employee Benefits – life, disability, vision, dental, critical illness, accident and supplemental medical. Altman Insurance Services works with all the major insurance carriers to provide employer paid and voluntary products. Each hospital has different needs and we are ready to meet this challenge. We can provide a variety of options from full-service online/call center enrollments to more basic laptop enrollments. 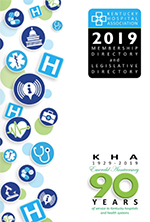 KHA/Altman use vendors such as Benefits Connect and Plan Source to provide a top-of-the-line enrollment/human resource solution to the paperwork required for benefit plans. These partnerships can provide exactly what the hospital needs to assist the hospital with enrollment needs. We can also work with an employer’s online enrollment vendor and will provide face-to-face assistance with employees during open enrollment. Additional product information can be found at www.altmanins.com.